Call unlimited and manage your inbound calls on virtual number with our business SIP trunk offer. Already 1 million users in 200 countries! Sign up now It’s free! A SIP account allows you to place your calls over the Internet. SIP is an open source telephony protocol. You receive a SIP address to receive calls from other users. Get a virtual number in all the countries offered. This allows you to receive local calls even if you are on the other side of the world. The unlimited Elite package includes a virtual number. Enjoy a free voicemail to not lose any message. You can customize your welcome message, or upload an MP3 file. Get a free iNum number in order to receive calls at local cost anywhere in the world. Also call unlimited and free of charge other iNum users. Send SMS at a single price to all your friends and contacts living on 5 continents. Fast, easy, and especially playful with our smartphone simulator. 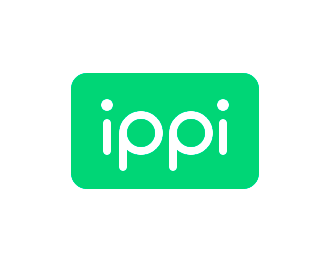 Download ippi messenger for free on your iPhone, and discover the best way to use ippi. Create a free private conference room, and easily invite contacts, customers or business partners to join you. 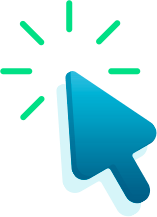 The click to call service allows you to place a call on your website from a single click. Increase your ROI by allowing visitors to your website to contact you easily at your expense. Modify your caller ID on the fly! As a large account, does your company have specific needs? Xiamen, China / Paris, France, 11 March 2019 – Yeastar a leading provider of cloud-based and on-premises VoIP PBXs and VoIP Gateways for SMBs, and ippi, a key France-based player in SIP telephony, today jointly announced the full interoperability of Yeastar S-Series VoIP PBX and Yeastar Cloud PBX services with ippi SIP trunk. 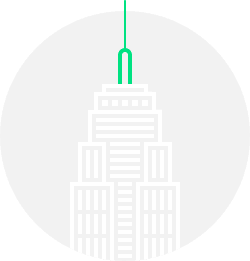 Rigorous testing has been performed to certify that ippi’s stable and cost-effective SIP-trunking services work seamlessly with Yeastar award-winning S-Series VoIP PBX and Cloud PBX, offering another trustworthy solution for SMBs seeking to deploy an IP-based communications system. Yeastar S-Series VoIP PBX and Cloud PBX, together with the newly launched Linkus Unified Communications App, has been favored by an increasing number of SMBs for its excellence in providing customers with their need-oriented features and the whole user-friendly communications solutions. With ippi now joining the ITSP Partner Program, Yeastar PBX users could add ippi’s high-end SIP trunk in the drop-down menu of ITSP Template with default configurations, enjoying easy and secure SIP-trunking services. Yeastar provides cloud-based and on-premises VoIP PBXs and VoIP gateways for SMBs and delivers Unified Communications solutions that connect co-workers and clients more efficiently. Founded in 2006, Yeastar has established itself as a global leader in the telecommunications industry with a global partner network and over 100,000 customers worldwide. Yeastar customers enjoy flexible and cost-effective communications solutions that have been consistently recognized in the industry for high performance and innovation. 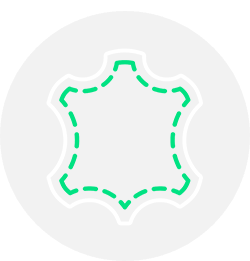 For more information about Yeastar, please visit https://www.Yeastar.com. ippi is a leading VoIP SIP provider from Europe with over 1 million users in 200 countries. Open a free SIP trunk at ippi.com and get a fast configuration with Yeastar products. Discover our unlimited package to call up to 150 destinations landlines & mobiles included, including a DID, free calls to SIP users, free iNum number and a lot of great features! With the Smart Caller ID feature, you decide which number appears on your correspondent’s phone by dialing a prefix before each call. 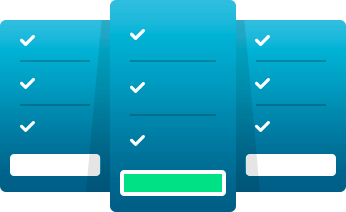 You have the possibility to define a smart list of 9 different Caller IDs. This feature is charged 5€/month and is offered with the Elite unlimited plan. You can order it now from the “Subscription” page of your dashboard. Holy Lands is a film directed by Amanda Sthers with James Caan, Tom Hollander, Rosanna Arquette and Patrick Bruel. The film is released in cinemas this Wednesday, January 16, 2019. You will be able to discover the logo ippi as well as the interface ippi messenger, with each sequence of the film where there is a video call (even if the skype name is mentioned by mistake by the actress). The whole team wishes you a wonderful year 2019. Throughout this year, we have continued to bring you unparalleled service, while continuing to work on adding new services and improving our infrastructure. Our competitive offers, innovative and without commitment, allow ippi to be chosen by large companies for their telephony needs. ippi is 11 years old! We are celebrating our 11th birthday today. Time passes so fast. We would like to thank all our loyal customers, some of whom have been here since the very beginning. Without you, we would not be here. ippi wishes you a Happy New Year 2018! All teams are actively working to expand and improve our network and launch new value-added services. The quality of the service, coupled with competitive, innovative and non-binding offers, means that more and more large companies are choosing ippi for their telephony needs. Thank you for your support. Without you, we would not be here. ippi is a partner of the movie “Madame” directed by Amanda Sthers. It is a dramatic comedy with Harvey Keitel, Toni Collette and Rossy de Palma, and the film is released in theatres this Wednesday, November 22, 2017. You will discover the ippi logo during each sequence where there is a video call made between the actors. Launch of revolutionary unlimited packages! 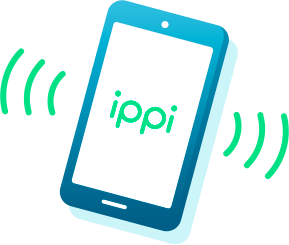 ippi officially celebrates its 10th anniversary this 28th September and launches two new revolutionary unlimited packages to call all landlines and mobiles. The unlimited Prime package lets you call 50 landline and mobile destinations at only 9.99 euro per month, and the unlimited Elite plan allows you to call 150 fixed and mobile destinations for 19.99 euro per month (discounted). ippi celebrates this June 28, 2017 its 10 years! For the occasion, we invite you to discover the v3 of our website. This change is not only visual. It is an in-depth change: graphic, technical, and commercial with new and unlimited offers. A brand new iOS app for iPhone is also available since today. Do not hesitate to send us your comments. We wish you an excellent year 2017. With the year 2017, ippi enters its 10th year. 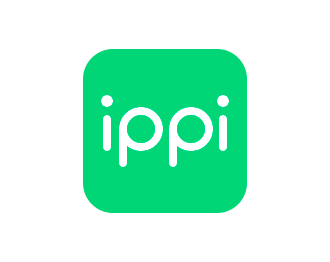 Throughout the past year, our teams and technical partners have worked on the upcoming new website, the new ippi app for iOS, and many technical improvements to launch new offers. We thank you for your confidence. The portability of number is expected by many companies and individual customers, who are in different countries, and wishing to switch their entire telecom to ippi. Belgium, Canada, Croatia, Spain, United States (USA), Greece, Israel, Lithuania, Poland, Puerto Rico, United Kingdom (UK), Slovenia. The fixed cost of portability is 50 euros. Then, the montlhy cost of the ported number is 9.99 euros. You can submit your portability request of your number now, by contacting us and giving the number and the current operator. We will get back to you with the document to complete. ippi offers an innovative, competitive and non commitment service! Email sent! We'll get back to you as soon as possible. Be sure to accept emails from support@ippi.com. Oops... Something went wrong! An error has occurred, please contact us directly at support@ippi.com. Lost Password or Username ? If you have lost your password, enter your ippi username. If you have lost your ippi username, enter your subscription e-mail. Congratulations! Your account has been created, you will receive an email with instructions to validate it. Oops... Something went wrong! An error has occurred, the technical service has been notified. Password Recovery We will send you an e-mail if we find a username associated with your e-mail. Congratulations! Your password has been reset. You can now sign. Oops... Something went wrong! An error has occurred, please contact an administrator. Congratulations! Your account has been validated. This package includes unlimited calls to ippi, SIP and iNum networks. Prepaid refills are available to call landlines and mobiles.  By choosing this unlimited package, this gives you an iNum number. Send SMS around the world at a single price. Call other iNum users for free. Enjoy a customizable free voicemail. use with iOS app or Android & softphone. Usable from app, softphone, IP phone & IPBX. By choosing this unlimited package, you are entitled to a free virtual number for the following 25 countries: Australia, Belgium, Canada, Denmark, Finland, France, Germany, Greece, Hungary, Ireland , Israel, Italy, Lithuania, Luxembourg, Netherlands, New Zealand, Norway, Poland, Rep. Czech, Romania, South Africa, Spain, Sweden, United Kingdom, United States. By choosing this unlimited package, you benefit from an included incoming call channel. By choosing this unlimited package, you benefit from the portability offered for your first number in France, or at a preferential rate of 30€ on the following 14 countries: Australia, Belgium, Canada, Finland, Greece, Israel, Lithuania, Netherlands, New Zealand, Romania, Spain, Sweden, United Kingdom. By choosing this unlimited package, you benefit for free of the Mobility feature to call the world from your mobile phone without the need for an Internet connection. By choosing this unlimited package, you benefit from priority support. A virtual number allows you to receive calls at the cost of a local call while you are on the other side of the world. Once the number is activated, it rings on your ippi account. There is no configuration to make. You can add as many numbers as you want. A number is not a line but an alias of your main account. This option allows you to enjoy ippi from your mobile phone and without the need for an internet connection. This option allows you to send and receive faxes. Send faxes from your dashboard, and receive faxes on your mailbox. This option allows you to carry your current 12-country number to ippi. The premium numbers are associated with the notions of services, and allow to give your clients and prospects a big company image. With this option, you can decide which caller ID to display before each call. Option offered with the Elite package only. Become a partner of ippi and offer our service to your customers either directly or in a white label. Congratulations! You have successfully registered to be one of our awesome resellers! 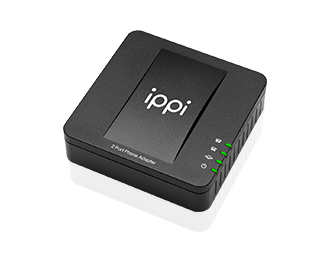 This adapter allows you to use ippi from your analog wired or wireless phone, with a broadband internet connection. Simply plug it into a power outlet, your internet box and your phone. 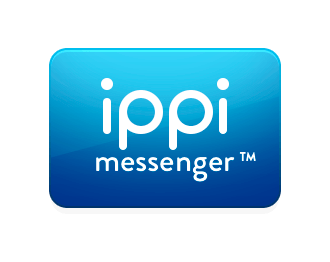 ippi Messenger allows you to call and chat on the internet. This softphone is compatible Mac, PC and Linux. ippi Messenger can also encrypt end-to-end calls by activating an option. 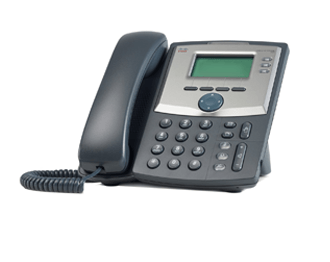 Professional wired IP phone with 3 lines. It allows you to use ippi with a broadband internet connection. To make it work, just plug it into an outlet and your internet box.